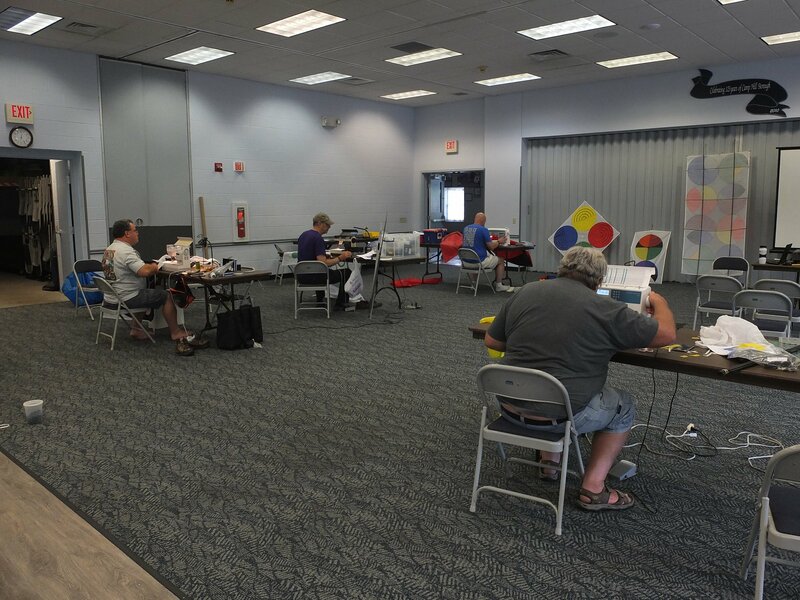 You are currently browsing the tag archive for the ‘Kite Workshop’ tag. I haven’t had a chance to fly kites for almost two weeks. Last weekend my daughter and her husband came home and we spent as much time with them as we could. They brought us some rather “shocking” news. Shocking in a good way. They are going to have a baby. Which means I am going to be a grandmother. I’m beginning to feel old. But I get to help decorate the nursery. My daughter is decorating with, of all things, kites. 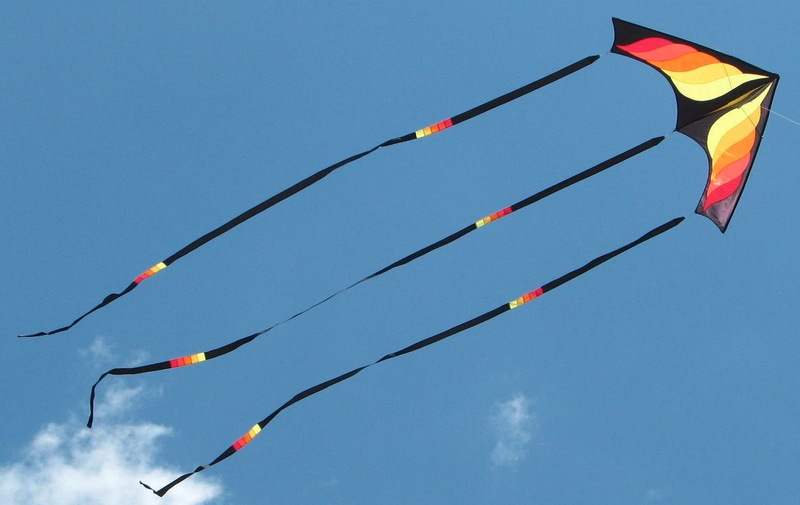 So I am going to build a special request kite to hang on the nursery wall. I’m going to start as soon as possible so it will be ready.After all, I only have seven months until the due date. 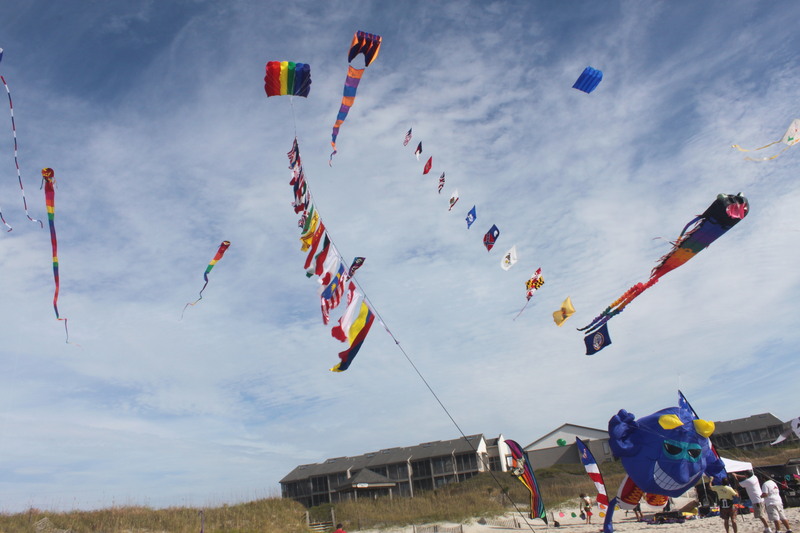 This weekend is the Carolina Kite Festival. 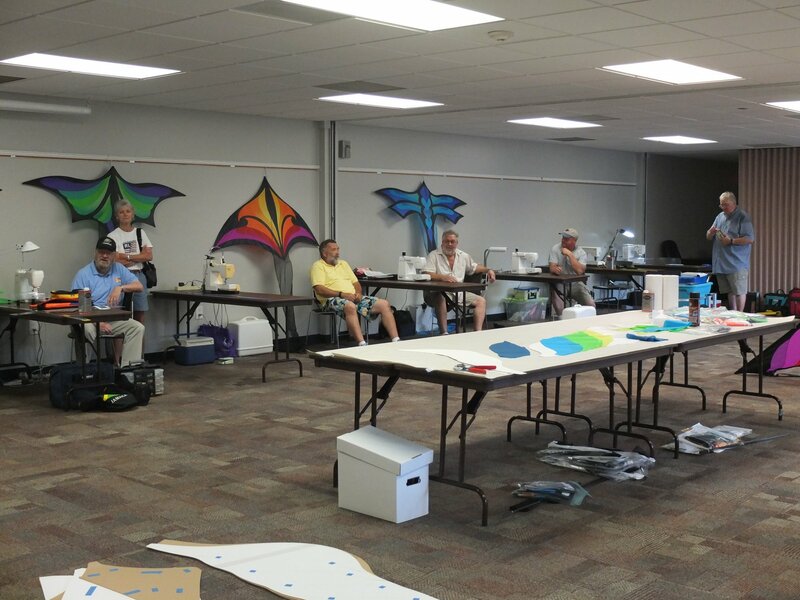 Today it started with an all-day kite building workshop. I got my kit early so I could finish it for the workshop. For some reason, I had a hard time focusing on this kite. But I did get it done on time. 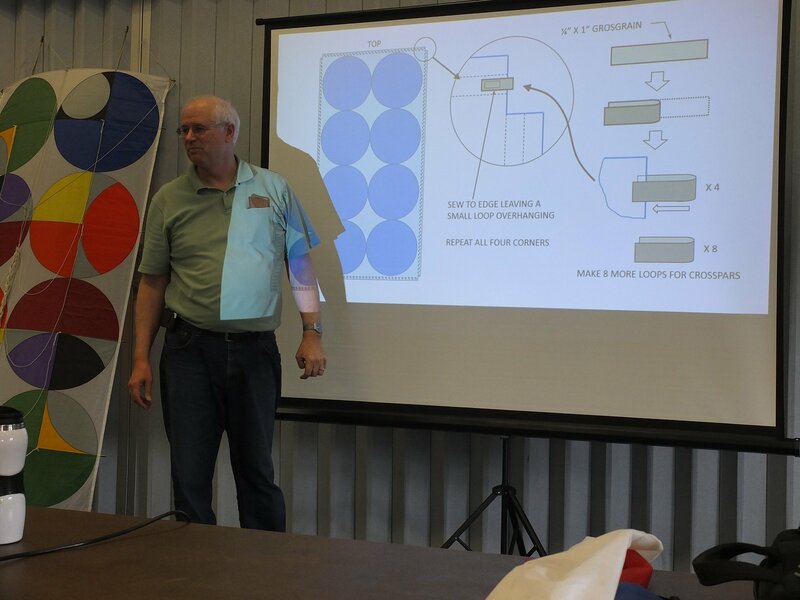 I spent the day at the workshop answering questions, talking with participants and getting the pattern ready for my next build. There were twelve sewer there to build the kite. Most hadn’t sewn a kite before. A couple were old hands at it and finished without any problems or questions. There was only one person who didn’t finish the kite and she had to leave early. 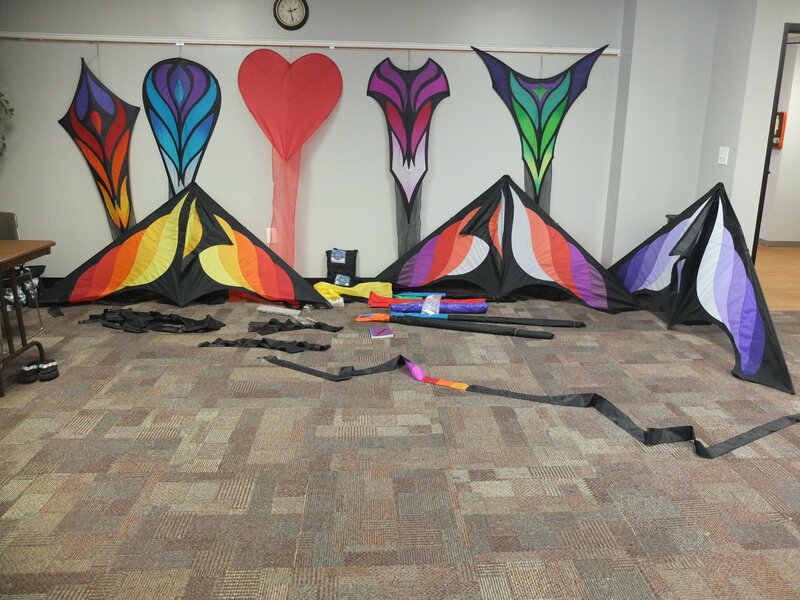 The kites were in a wide range of colors but all the same pattern. Although some of us made changes to the pattern to personalize the kite. 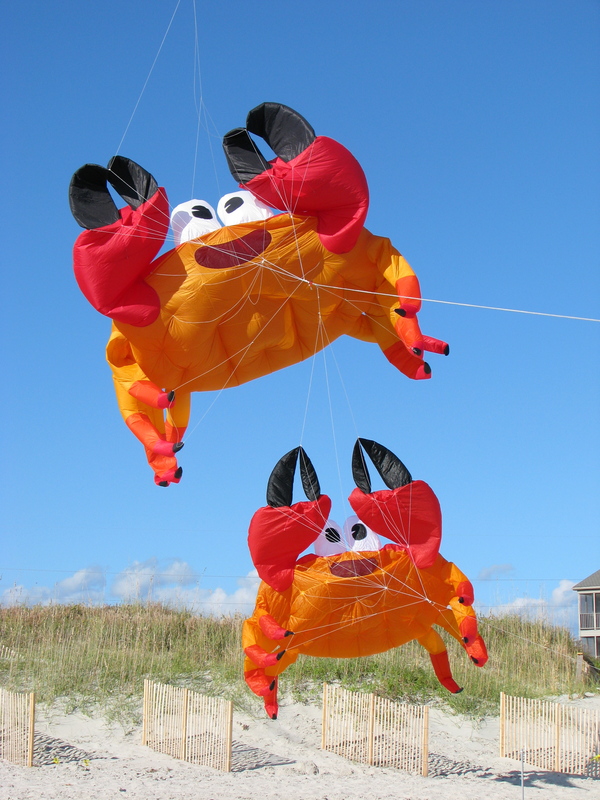 Tomorrow at the kite festival we will all fly them at the same time. It should be a pretty good show. I took my kite out to the parking lot and held it by the bridle to see what it would do in the somewhat gusty winds today. It flew like a champ. Tomorrow the festival starts in earnest. Unfortunately, the weather doesn’t look like it will cooperate. Possible rain with extremely strong winds. And the temperature has dropped about ten degrees from what we have been having. t almost seems like this year’s festival has been cursed. First we had to change venues because our regular location was damages by Hurricane Irene and had to close until the first of the year. Thankfully we were able to get the required permits to hold the festival at the public beach access in town. Then we had to arrange with some of the smaller local motels for rooms for attendees. And they did step up and help out. To make things worse several of our regular attendees had family crises and would not be able to come this year. So we have a smaller work crew with just as many jobs to fill. And a smaller number of regular fliers to put kites in the air. But the goal of the festival is to have fun and enjoy the camaraderie. 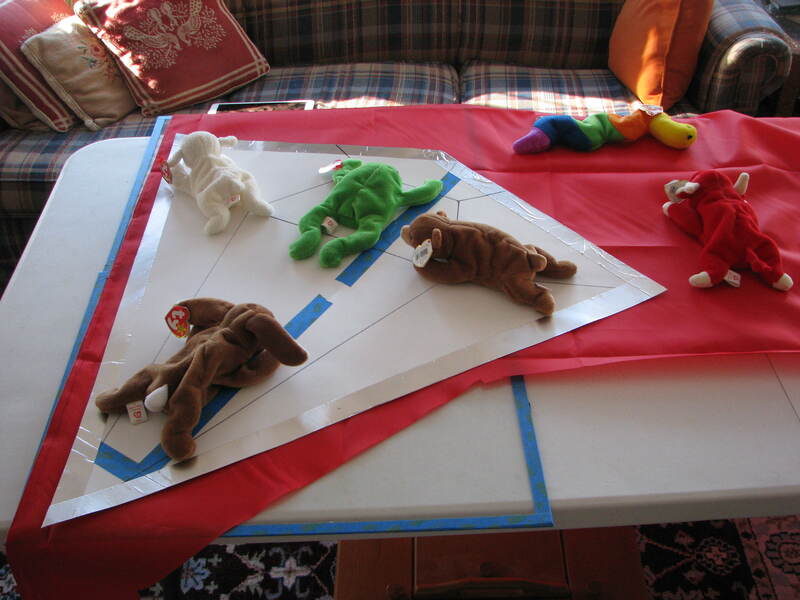 And, of course, to introduce kiting to the general public and get them to join in. 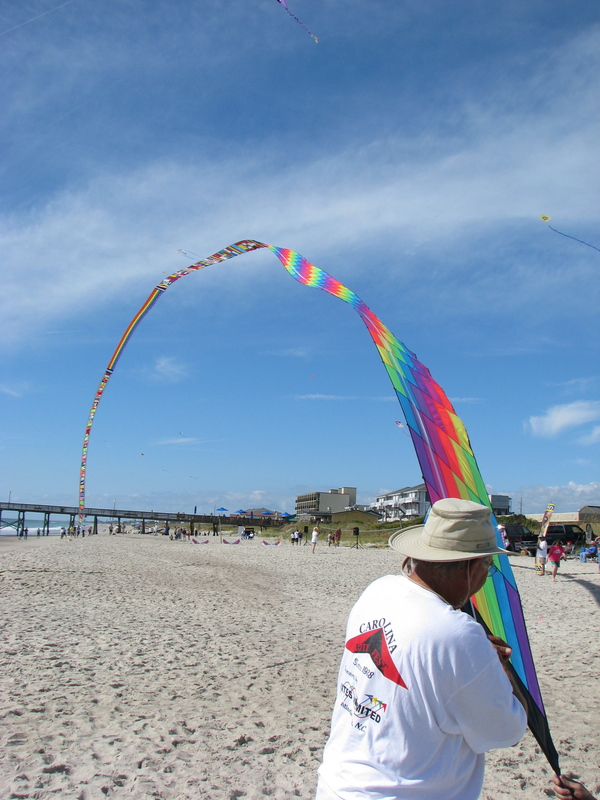 Many people come to see the kites and are usually amazed at the variety of dies and shapes and colors. And many bring a kite or buy a kite and join in. This is what it is all about. This year we will have a show of the large kites, kids’ kite building, candy drops for the kids, a show of the favorite kites of our kite club and friends and several mass ascensions. A mass ascension is when everyone flies the same type of kite at the same time. 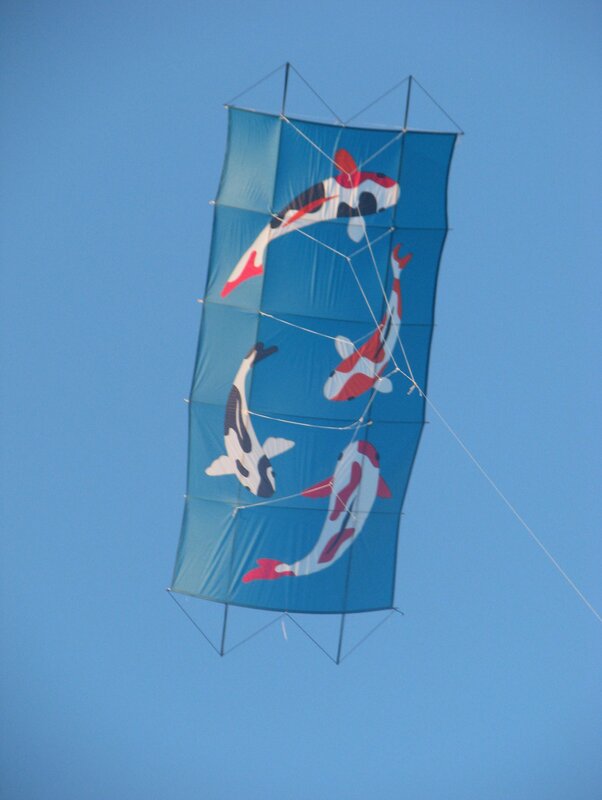 It makes for a great show of the different varieties of the same type of kite. We will also have an area for people to learn how to fly stunt kites. And maybe some of the attendees will coerced into putting on a display or two. It’s all weather-driven. So there is no set schedule. Good weather, a great show. Bad weather, we make do with what we can. It is a lot of work and planning. But when it is over, we look back and say “It was fun” and start planning for the next one. So wish us luck and good weather. Wanted to fly today but, once again, the wind wouldn’t cooperate. 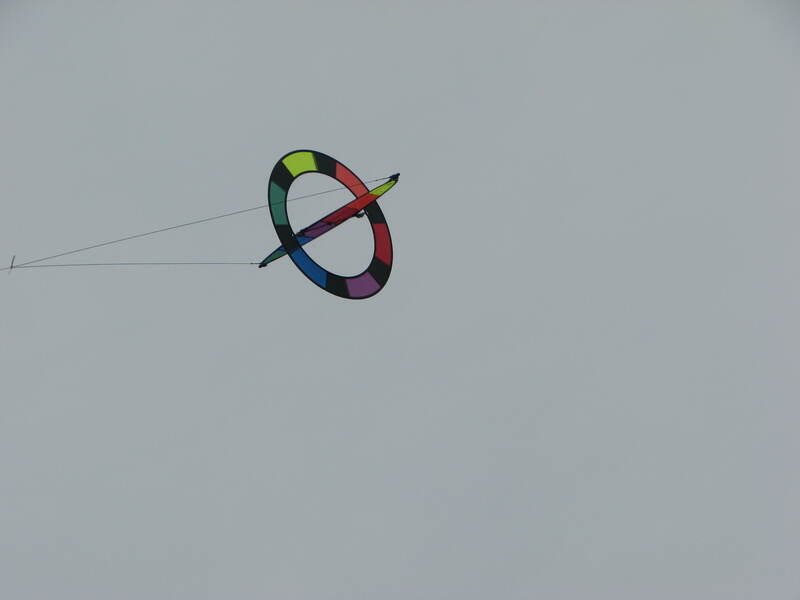 We have a couple of new Skydog kites to test fly. Tried to fly them a couple of days ago before the sun set. 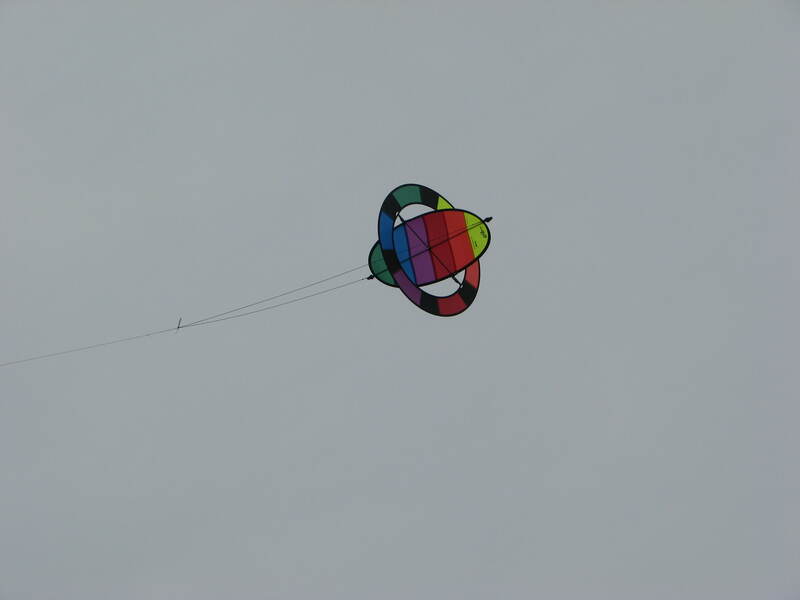 While the wind was stronger than today, it was not strong enough to get one of the kites into the air. The other took some work but did eventually fly and fly quite well. It just hung in the sky above our heads, no waving, weaving or wobbling. Maybe tomorrow we can try again. 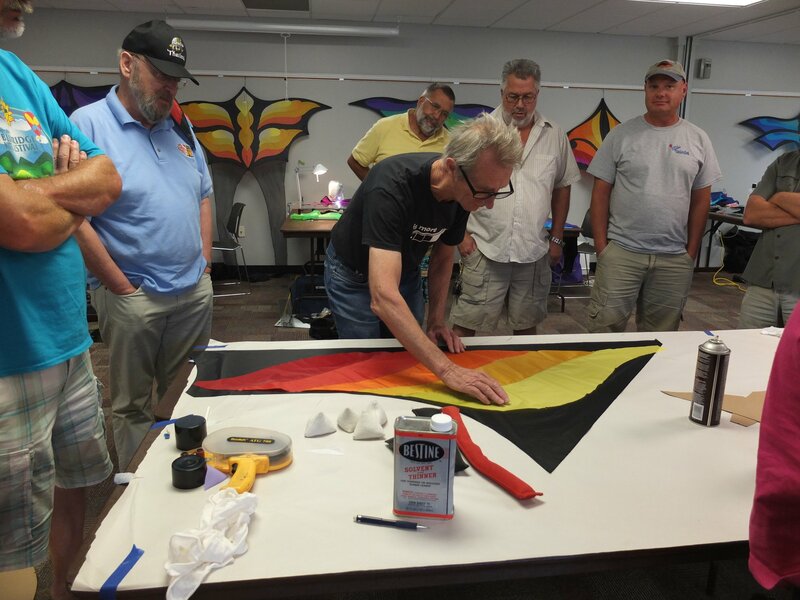 So instead of flying, I worked on a kite for the upcoming kite festival workshop. 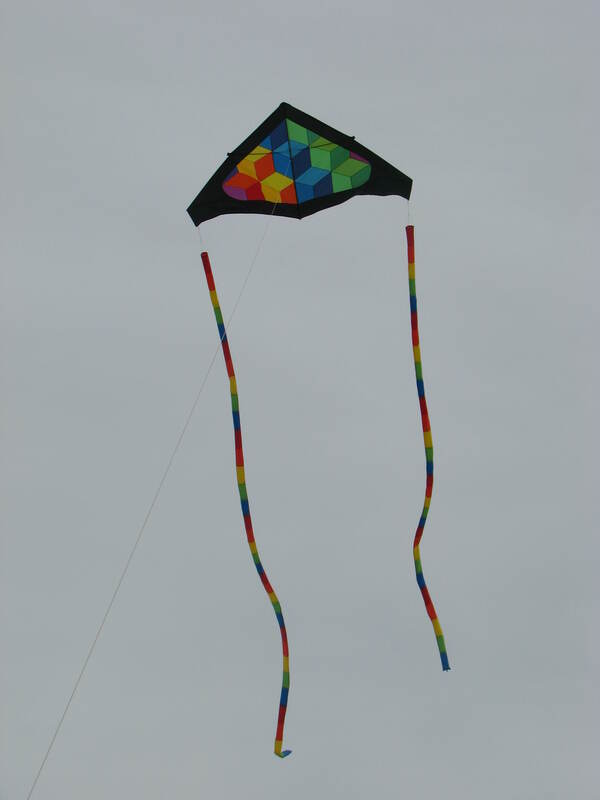 I got my kite early so that I could get my kite finished for use as a sample. Because of this, I’m moving rapidly into the position of a perfectionist. I have to keep reminding myself that I’m not competing in the Nationals so it really doesn’t matter. 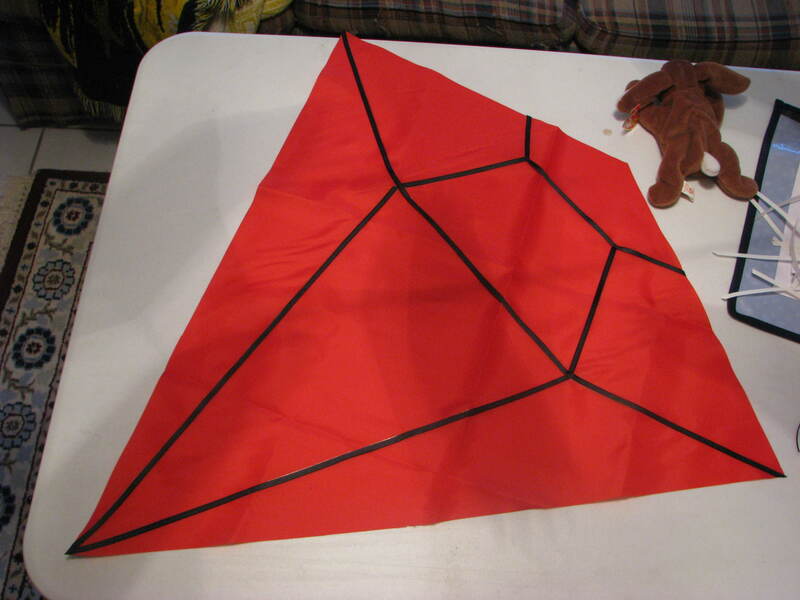 This is a fun, good-looking kite and I should be having fun making it. And why is my kite a sample kite? I have been given the assignment of workshop assistant instead of workshop participant. Apparently people believe I already have the skills for a beginner class and have moved on. We will see. 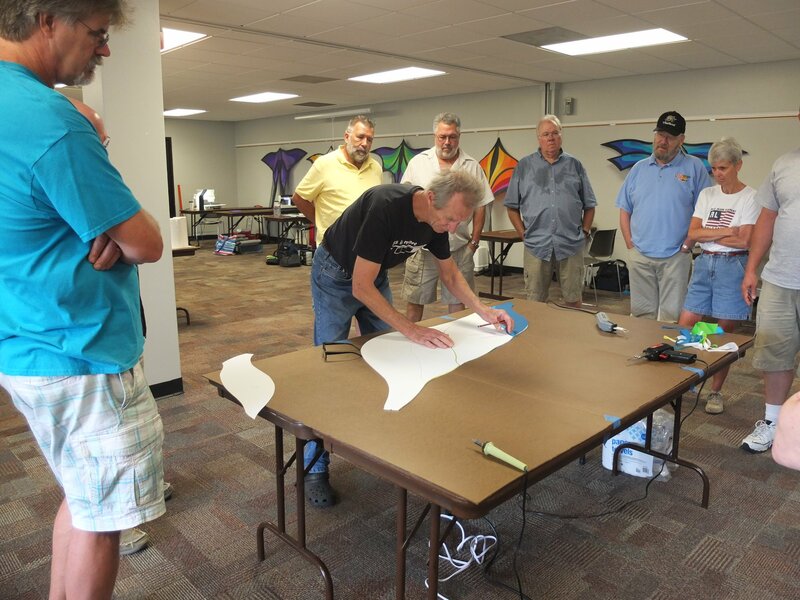 In one week, it will be only be a year since I made my first kite. 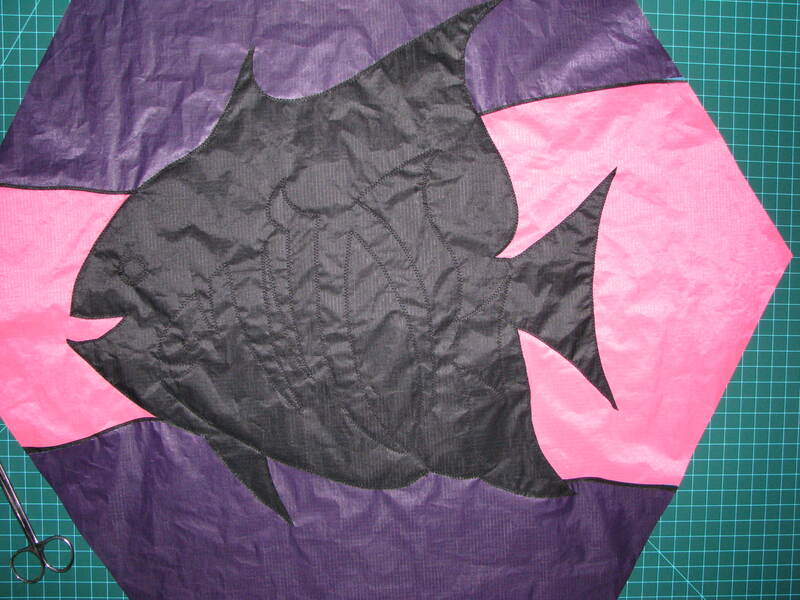 The applique sewing is complete and I am cutting away the unwanted layers of ripstop. Tomorrow I have to get some more thread for hemming and pockets. 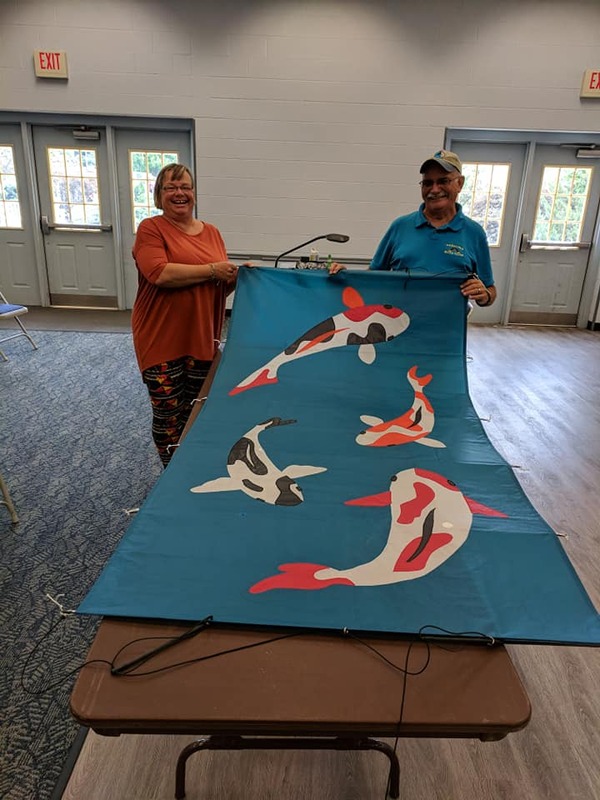 Then I need to do repair work on some of my kites so they will be ready for the festival. Yes, I have been procrastinating. I hate repair work. Mostly it’s ripping out pockets and replacing them. My next project is a kite for my daughter. She wants to hang it on the wall in the spare bedroom. So I had better get back to the work table.